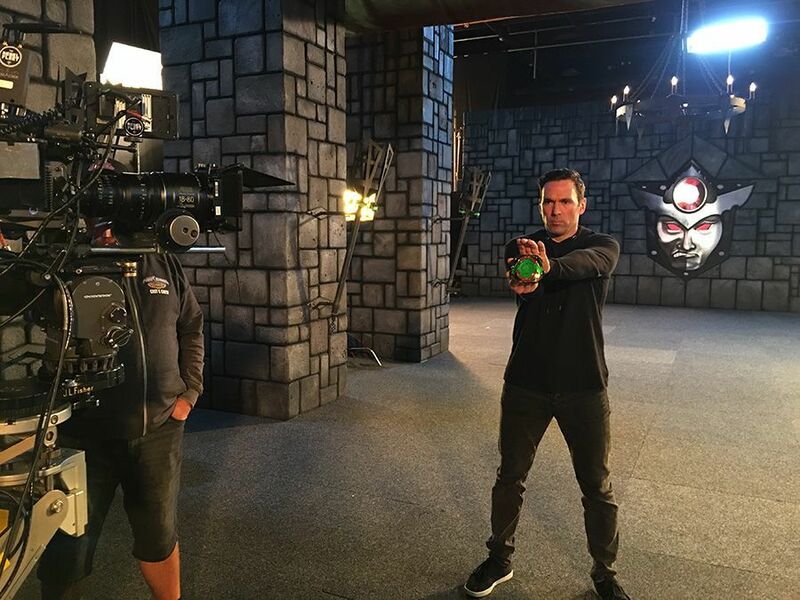 Power Rangers fans had plenty to take in last night on the big 25th Anniversary episode of Super Ninja Steel, including the introduction of a brand new Morpher wielded by none other than Tommy Oliver. The new Morpher is called the Master Morpher and is a brand new addition to Power Rangers lore. 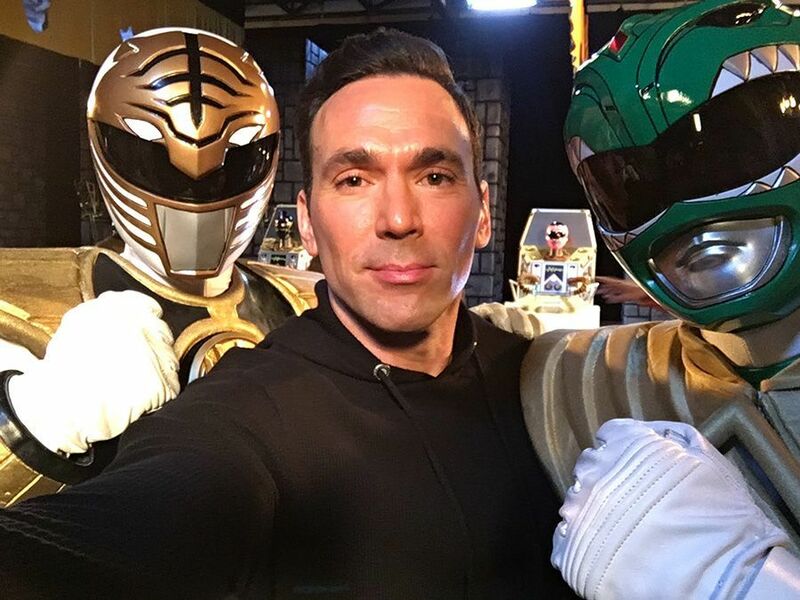 During the episode we see Tommy Oliver (played by Jason David Frank) show off what the Master Morpher can do, allowing him to change between all of his previous Ranger forms. He kicks off things with changing into Red Zeo, and then eventually alternates between Black Dino, White Ranger, and his Green Ranger forms, all using one Morpher. It isn't said how he obtained the Morpher, but we imagine it comes to certain Rangers who have wielded a variety of mantles like Tommy Oliver. 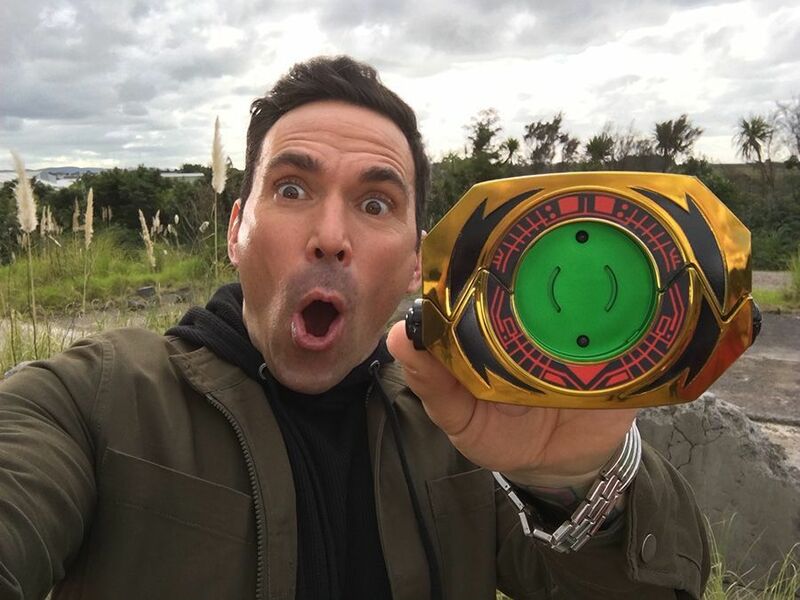 As you can see in the photos above and below, Jason David Frank gave us a better look at the new Morpher, which is gold and black with red accents around where the coin is held and features green behind the coin. "It's finally great to have a Morpher like the Master Morpher," Frank told ComicBook.com. "To get to morph into different Rangers...I look forward to what the future has in store." While he pretty much changed into every form, he did not change into his Turbo form, but Turbo was represented thanks to Katherine Hillard, who was one of the legendary Rangers to join the fight against Lord Drayvon. If you missed the episode, you can check out our full recap here. The rest of the photos can be found in the gallery, and the official description of the episode can be found below. "Dimensions in Danger (8/28): In a special 25th-anniversary episode, the Super Ninja Steel Rangers team up with Legendary Rangers in an epic battle to save the world." Power Rangers Super Ninja Steel stars William Shewfelt (Brody/Red), Chrysti Ane (Sarah/Pink), Peter Sudarso (Preston/Blue), Zoe Robins (Hayley/White), Nico Greetham (Calvin/Yellow), Jordi Webber (Aiden/Levi/Gold). You can find all of the 25th Anniversary Rangers in the episode right here. What did you think of the big Power Rangers 25th Anniversary episode? Let us know your thoughts in the comments and hit me up at @MattMuellerCB on Twitter as well!